If your New Year’s resolutions from last year have gone unresolved, don’t worry, you’re not alone. 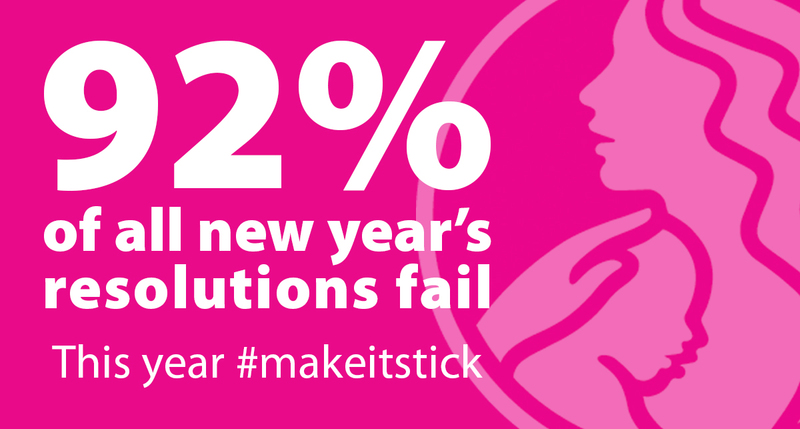 In fact, only 8 percent of people actually keep their resolutions. But don’t let that get you down! Now that the New Year has begun, you have an opportunity to start again. To ensure that you don’t set yourself up for failure in the coming year, we’ve put together 5 tips to help you see those resolutions through. Make it something you really want. When it comes to making resolutions, forget about what others say or things you “should” want. Instead, align your resolution(s) with your own ideals and values. Making resolutions that are special to you makes them easier to keep. Limit your list. Often times, we want to change our entire life or lifestyle all at once. This year, take some time to really think about things and focus on one area. By making fewer resolutions that are more meaningful to you makes it more likely that you’ll reach your goal. Plan ahead. To be the most successful, you have to have a plan. Instead of one daunting goal for the entire year, create a series of smaller steps to reach as you go. This will help keep you motivated and make it easier to get back on track if you should stumble along the way. Anticipate problems & accept failures. Change is never easy; therefore, it’s important to prepare yourself for setbacks. Take time to think about potential problems and failures, doing this will allow you to better cope with them if and when they arrive. Secondly, don’t hate yourself for missing a walk or sneaking in some chocolate; instead, make a note of the triggers that may have caused the set back and think of ways to avoid them in the future. Pick a start date. You don’t have to start on New Year’s Day. Avoid conventional wisdom and pick a day that you know you’ll be well-rested, enthusiastic and surrounded by positivity. Starting on a positive note helps set the tone for the year and will help energize you for the journey to come. Whatever you decide to commit to, the most important thing is to use the energy of the New Year as an opportunity to make the changes you feel are most important. 2017, you got this!